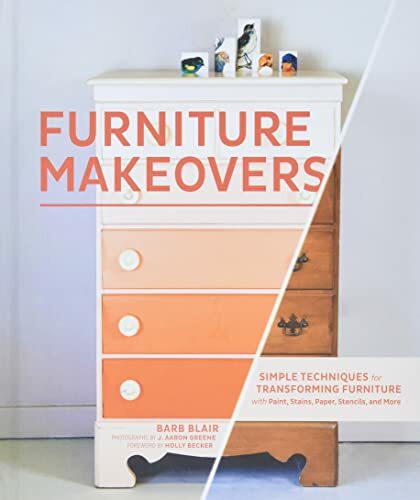 [PDF] Furniture Makeovers: Simple Techniques for Transforming Furniture with Paint, Stains, Paper, Stencils, and More | Free eBooks Download - EBOOKEE! Description: Furniture Makeovers shows how to transform tired furniture into stunning showpieces. You'll never look at a hand-me-down dresser the same way again! The book offers 26 easy-to-follow techniques that can be applied to all different types of pieces, from bookshelves to desks: painting, applying gold leaf, wallpapering, distressing, dip dyeing, and more. In addition to the core techniques, author and Knack Studios founder Barb Blair shares 30 beautiful before-and-after makeovers from her studio and outlines how to achieve each look. With helpful step-by-step photographs, a visual glossary explaining all the tools and materials needed, and a lovely contemporary aesthetic, Furniture Makeovers is a treasure trove of ideas and instruction for the home decorator. No comments for "[PDF] Furniture Makeovers: Simple Techniques for Transforming Furniture with Paint, Stains, Paper, Stencils, and More".